You know what, blogging can be exhausting. I love painting my nails and I even quite like swatching and taking 100 photos of each polish, but what I really don't like doing it cropping, watermarking, resizing and re-saving all those swatch photos. It takes so bloody long and you just don't see anything for it. For me that is definitely the worst and most time consuming part. And when you post about a polish collection in one post, where you have multiple shots of multiple polishes it really starts to feel like a job. I already have a job and don't want this to become another one. Wow, I really sound like a negative nelly tonight, I must be tried. Let me take my cranky pants off and look at another collection of polishes :) This is the second out of three collections from Aussie brand JOSS. The collection is called the Crystal Collection and it has three glass fleck with glitter polishes, and three holo with glass fleck polishes. 772- Crystal Treasures - a white glass fleck polish with two sizes of magenta holo hexes. Opaque and two-three coats depending on how thick you apply. I did two coats with Seche Vite top coat. 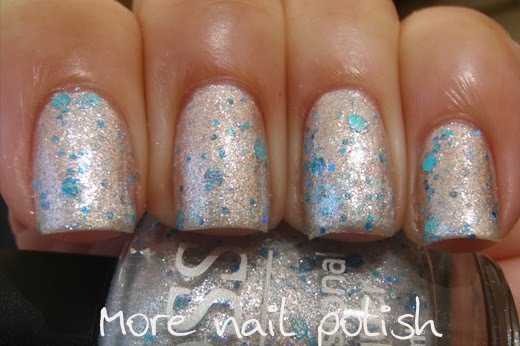 773- Crystal Ocean - a white glass fleck polish with two sizes of blue holo hexes. My photos don't show on how pretty the holo glitter is in these. Two coats with Seche Vite Top coat. 774- Crystal Sunbeams - a white glass fleck polish with two sizes of gold holo hexes. 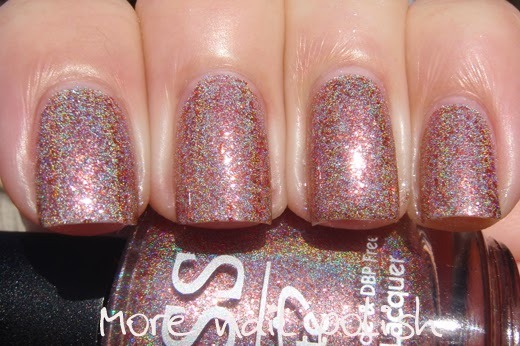 Just like the other two, this is so much better in real life with both the mix oh holo glitters and shiny glass fleck. Two coats with Seche Vite Top coat. 775- Crystal Holo Mystic - Such a unique polish. 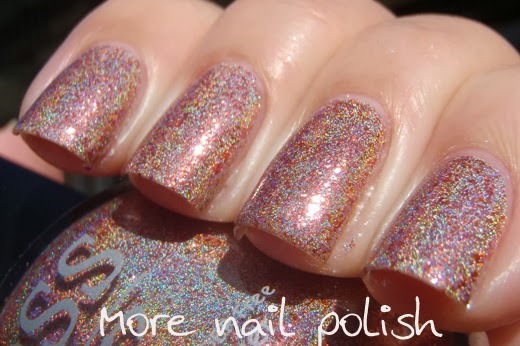 It has a speckled effect because of the copper toned glass flecks interspersed with a fine and subtle holo shimmer. The overall tone of the polish is a brown leaning neutral shade. Two coats with seche vite top coat. 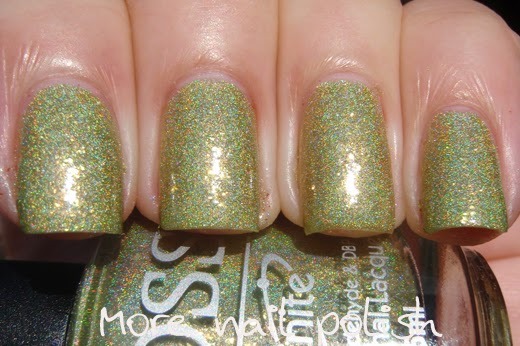 776- Crystal Holo Solar Flare - just like Mystic, this has a golden green glass fleck mixed with a fine and subtle lime green holo base. This is two coats with SV top coat. 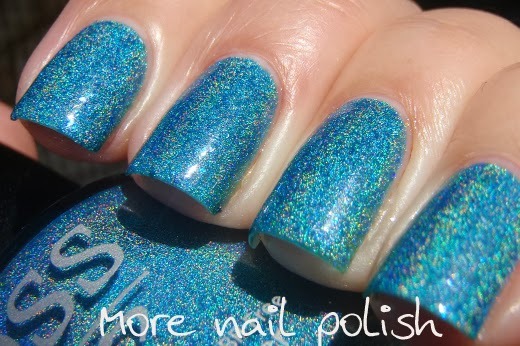 777- Crystal Holo Ocean Depths - a bright and deep blue base with fine holo shimmer and blue glass flecks. Two coats with SV top coat. These are really interesting and unique polishes. It's fun when you get something different to play with. The opacity and formula on all these was good. Your swatches are always beautiful and always appreciated. I have to admit to being a little over glitter polishes which are getting to be a dime a dozen with so many being introduced every week. 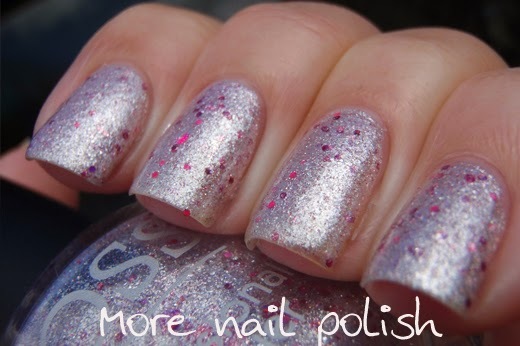 These polishes are the exception - sparkles and glittery without the common element. I would happily wear anyone of these. They are just so pretty. Thank you for all the time you put into preparing them for us to see. Yes, me too. Whist I love to support indies brands, especially Aussie ones, there is only so much one can do. 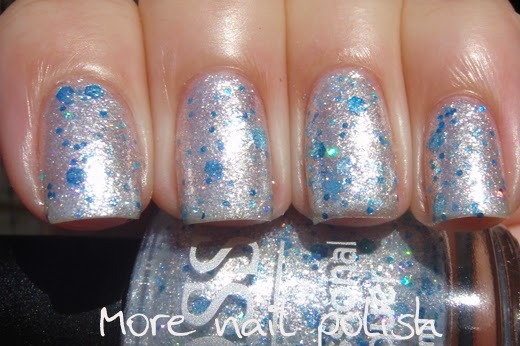 And I really do find that my readers seem to get bored of swatches, especially more glitter polishes! I get so much less engagement and views for swatches compared to nail art and swatches are no where near as much fun for me as doing nail art. It was a strange day when I first said no to free polish. Such pretty polishes! I love Crystal Ocean, I hope Llarowe gets it in soon. Thank you so much for your daily swatches, posts, and nail art! I look forward to your blog every evening! This blog is one of my favorites, but I certainly can understand that it is a massive amount of work at this point. Personally I'm not that much into nail art, in that I don't do it myself, but I admire it. Just wanted to say, I really love your swatches. Until recently I didn't really think about how just reading thru blog posts and not commenting denies the blogger the feedback that lets them know their work is appreciated. All that being said, I just got a few of the Joss Crystal (Affinite?) 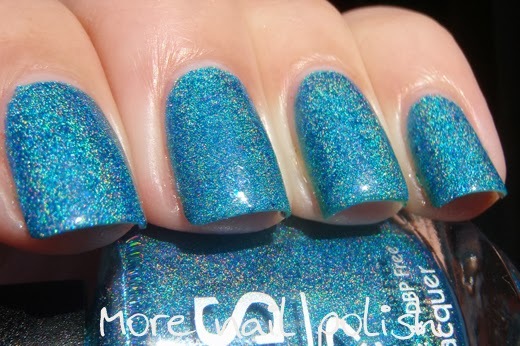 holos from Llarowe, including Crystal Holo Ocean Depths. I snoozed until the purple one was out of stock and I am kicking myself. Sure I have a ton of purple holos, so I told myself not to jump on every restock. Hopefully that one will be back in stock or turn up somewhere else here in the states. Those Crystal holos have such a unique finish! I was really loving the green one until I scrolled down and saw the blue! What a vibrant color! I've always wanted to start a nail blog myself but then I think of all the work that goes into it and ugh.... I'm so glad that there are talented ladies such as yourself to do it for us!